Kanger’s newest innovative addition to the world of vaping is their Kanger SubVod Mega TC Starter Kit, promising a seriously intense ride of vaping pleasure. The SubVod features a handy, ergonomic tube shape, very much styled like a high-powered vape pen. It includes the powerful Kanger SubVod Mega 2300mAh Battery, as well as the fierce Kanger TopTank Mini, resulting in a crazy-powerful duo that is nothing but a pleasure to vape with. 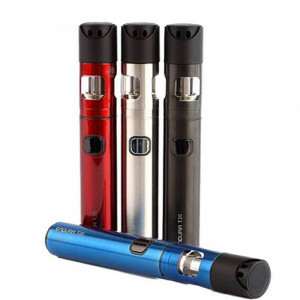 The SubVod Mega starter kit brings the highest level of performance due to its 2300mAh battery, with its temperature control abilities, and the TopTank Mini is the perfect addition to this setup with its 4 ml capacity, top fill design, and the adjustable airflow control feature that warrants it a high-performer. Simply, Kanger can do no wrong and their starter kits are nothing short of killer. Get your Kanger SubVod Mega TC Starter Kit today!